We are an independent chartered accountancy firm based in the City of Brighton, on the UKs south coast. We specialise in providing a full range of accountancy and financial management services to small and medium sized businesses (and start-ups) operating in and around Brighton and the South East. Helen, You were brilliant. I had a small company and you were amazingly helpful whenever I needed a bit of a nudge to keep things running smoothly. 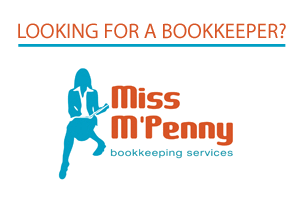 I'd recommend you to anyone who needs an accountant. Quite the best and nicest account I've ever dealt with. As the owner or director of a dynamic and ambitious small business you have very specific needs. You’re not Microsoft or Unilever; you're an entrepreneur, doing what you do best and competing in a tough market. And as an expert in your own field, you know that good advice is worth paying for. You also know that accounting and tax problems can have a devastating effect on your business. But unless you've had formal training in this area, you can't possibly navigate all the intricacies of tax laws and regulations by yourself. We understand the issues faced by small businesses like yours – we’ve been working with entrepreneurs like you since 2003, responding to the tax questions, financial management issues and cash flow concerns that can make or break a small business. We know what you're up against, and we can help minimise your headaches and maximise your profits by giving you the competitive edge to succeed in a challenging modern business environment. Our team of staff have diverse working experiences and professional expertise in discrete areas of accountancy and corporate financial management, we can help your business grow and add value by providing practical advice and assistance, whatever your accounting needs. With an impressive and varied client base of small dynamic businesses operating in industries as diverse as media and new media design, tourism and hospitality, property development and commercial fisheries, our modern, friendly and flexible approach means we can meet your needs whether you’re a limited company, a partnership, a sole trader or a new business start-up. Since we started in 2003, we have watched our clients’ businesses grow and develop; at the same time, we have grown and developed – almost entirely as a result of referrals and recommendations by satisfied clients. For a detailed summary of the full range of services we offer go to the services page of this Web site or click here.